These pictures are some of the first trail riding miles Angel and I have gotten to share. Thanks to some wonderful friends we were able to get her into some water and mild crossings to see how she handles them. She's gonna make a trail mule too. 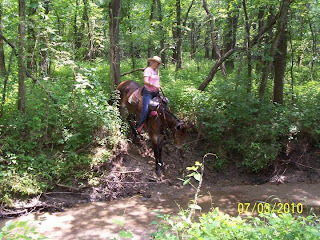 She already has a very extensive show history and I have been very excited to be able to get on a trail with her. With the amounts of rain we have had I have been limited to road riding just to keep her in shape. I'm not complaining about that. I'm grateful that the rain gave us a little break so I could ride her. I am really enjoying this mule. 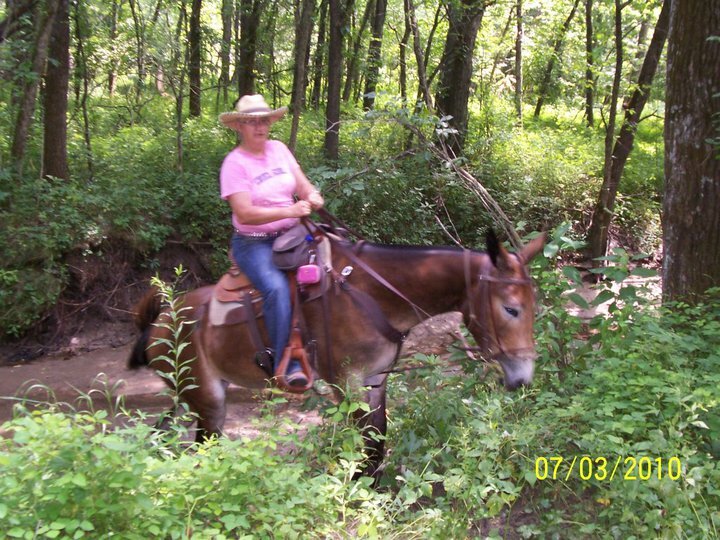 We bred her mother, foaled her, raised her and had Sue White of Rockn' S Mules train and show her last year. 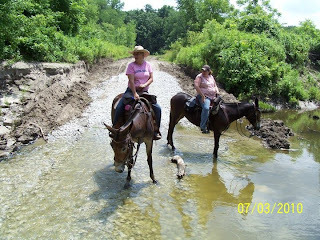 She has taught us a lot about raising mule babies and I hope we are getting better with each one.